The most famous name in motorcycling is as famous today as it was 50 years ago. Built in the spirit of the all-conquering British twins that ruled the roads in the 1960s, the modern day Bonnevilles uniquely combine up-to-date design and manufacturing methods with traditional styling and attitude. The Bonneville still delivers a unique style and appeal unmatched by any other motorcycle. Enviable glances and engaging chat from passer-bys come as standard. THE MOST FAMOUS NAME IN MOTORCYCLING. A legend. Over 50 years of engineering excellence. A thoroughly modern interpretation of the authentic ‘proper’ motorcycle. 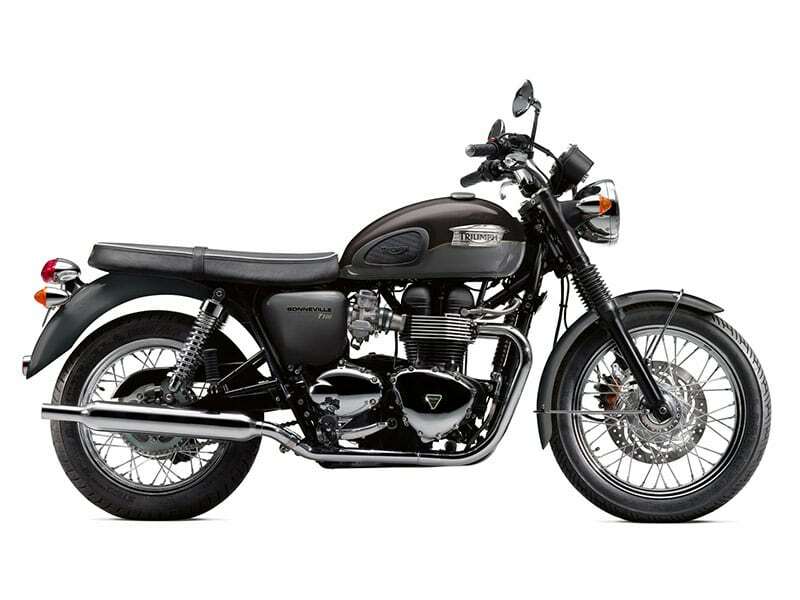 This iconic symbol of rebellion and independence is even more appealing now thanks to its modern specification, low seat, clean fuel-injected 865cc engine and lightweight 17 inch alloys for even sharper handling. Stirs the heart, not the wallet.